Glenn Robinson III’s high school career is over after a pair of All-Star contests against the Kentucky All-Stars on Friday and Saturday evenings. The Indiana All-stars swept the event for the fourth time in a row and tallied their 16th win in 17 tries. Next up for Robinson: summer workouts in Ann Arbor. The future Michigan wing had 13 points in Friday’s game at Freedom Hall, helping the Indiana squad to a 90-85 win. Robinson’s 13 points were second best for the Indiana All-Stars and his late dunk with 10 seconds to play extended Indiana’s lead to 88-85. Robinson was three-of-six from the field but made 7-of-8 free throws and grabbed five rebounds in 22 minutes of action. The Indy Star credited Robinson’s interior defense for helping turn the tides – Indiana trailed by one at half time – in the final exhibition. “Our second half was much better,” Robinson said. “We came out with a lot more intensity and with the mindset that we were going to get stops on defense. That allowed us to come away with this thing. Robinson’s prep career blossomed from relative unknown when he committed to Michigan in summer of 2010, perhaps more than anyone could have imagined. He took Lake Central to new heights, developed physically (both taller and stronger) and began to take over games regularly. In the end, Robinson wants people to remember his hard work. “I hope people remember me as the kid who worked hard to get what he earned,” Robinson said. “I didn’t get it for free or because who my dad was. I wasn’t a very good player a few years ago and I worked to get to where I am now. Joe Eberhardt watched Saturday’s game at Bankers Life and offered up this scouting report when reflecting on Robinson’s development. 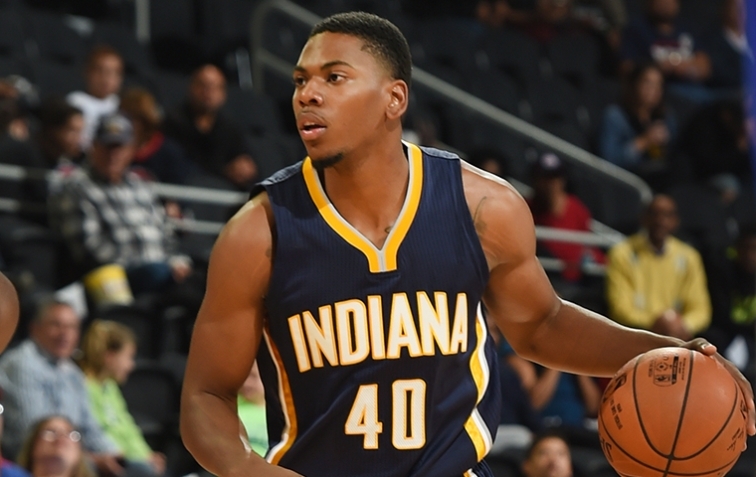 Glenn Robinson III has the chance to be an absolutely special player. Long, athletic, improving the “skill” aspect every time I see him. Robinson was a a borderline top 100 guy when he committed to Michigan, but kept improving and has the chance to be an All-Big Ten/NBA guy. Here’s footage of a big dunk by Robinson in last week’s exhibition action against the Indiana juniors at Pendleton Heights.